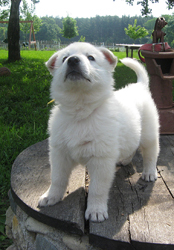 If you’re looking for high quality, great temperament White German Shepherds for sale, you’ve come to the right place. 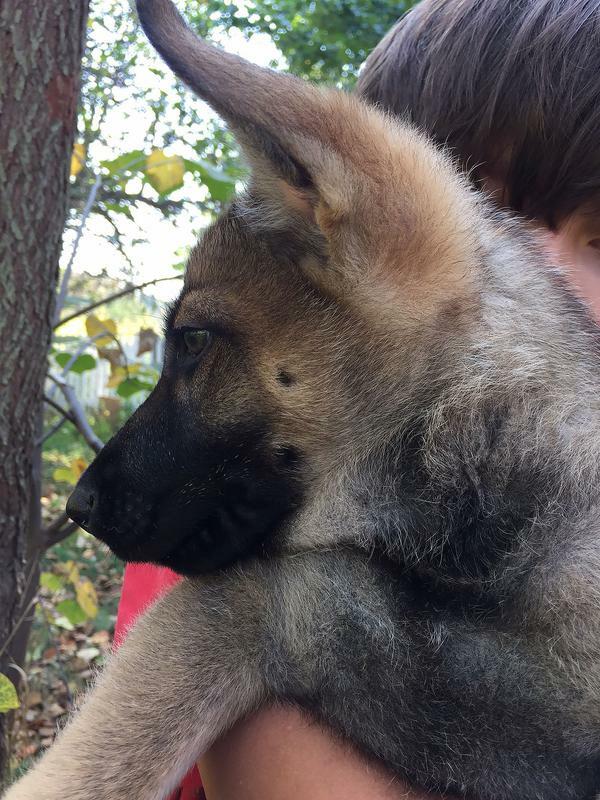 Recently we've also included Panda and traditional color German Shepherds to our pack! At Ravenswood Hollow we're committed to preserving the proud legacy of the German Shepherd Dog as Best Friend & Protector. We offer the best in blood lines and AKC registered Dogs. 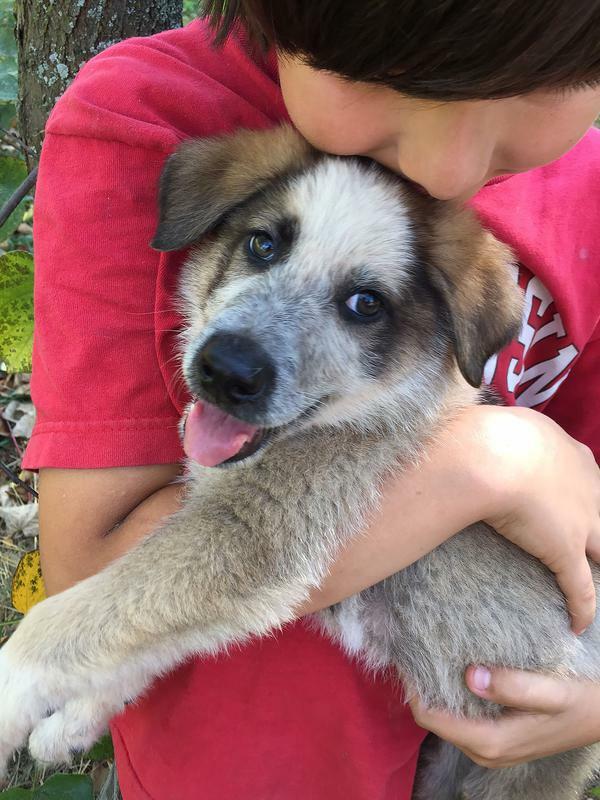 All our pups join their new families with a health guarantee, vet checked & having received appropriate vaccinations. Ravenswood Hollow has been a family owned farm in the East Troy community since 1967. 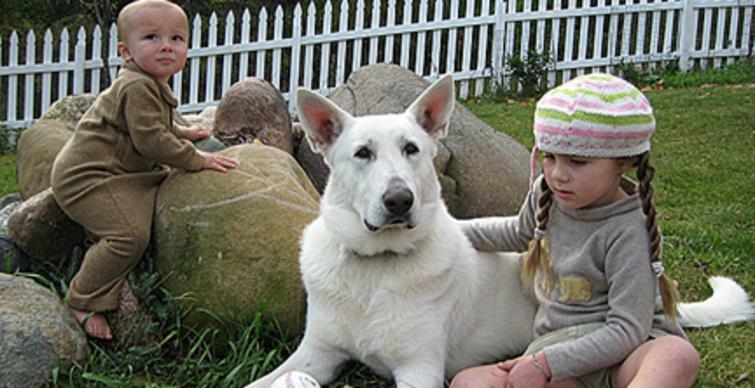 Put our White German Shepherd breeders' experience to work for you. Our puppies have access to a wonderful play area, with plenty of opportunity for socialization! At Ravenswood Hollow our dogs live in our home with us. Their White German Shepherd puppies are born in our home & constantly touched & cared for by our 5 children. This human contact is essential to a German Shepherd's socialization. Our dogs are very healthy. Their diets are supplemented with organic eggs from our chickens. They receive plenty of exercise on long hikes through our woods & refreshing dips in our pond. We do everything in our power to ensure that our pups will be as outstanding as their parents, and provide you with the love and joy that our dogs have given to us. Copyright 2013: Ravenswood Hollow | White German Shepherd Puppies | All rights reserved. Specializing in Beautiful White German Shepherds, Panda, Black & Tan, bi color, sable & other traditional color German Shepherds. Ravenswood Hollow, is a 75 acre farm in Wisconsin and a "doggy paradise"
Please let us know if you have an interest!